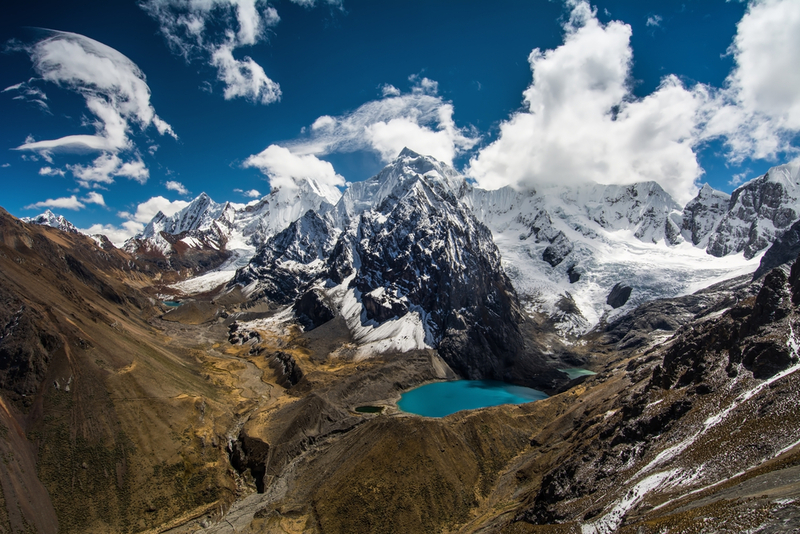 The Peruvian Andes. Photo credit: Shutterstock. It almost seems a little cliché but colours of the Peruvian Andes are famous South American destination for a reason. Sure, the Plaza de Armas in Cusco has its photo hawkers dressed in the traditional dress of various local communities. At first this can make Andean dress seem a little commercialised but you’ll find that once you get outside Cusco’s main square and into smaller surrounding communities that local people where their local dress almost every day. The fantastic thing is that valley to valley and village to village the dress change so as you travel around it becomes a kaleidoscope of cultural colour. If you do your research you may be lucky enough to time your trip to Cusco with one of many Andean festivals that are held throughout the year. These are particular exciting from a photographers perspective as a wide range of surrounding villages are generally involved, all showing off their variations on local dress and customs. Aside from the people and their textiles, the Andes offers many other worth photography subjects – in numerous Incan ruins and their impossibly accurate stonework, Andean wildlife and of course all with a backdrop of the imposing Andes themselves. Mt Fitzroy in Patagonia. Photo credit: Shutterstock. Unfortunately there is very little in the way of indigenous culture left in Patagonia, which means the vivid tapestries and clothing of the Andes isn’t present in this region. 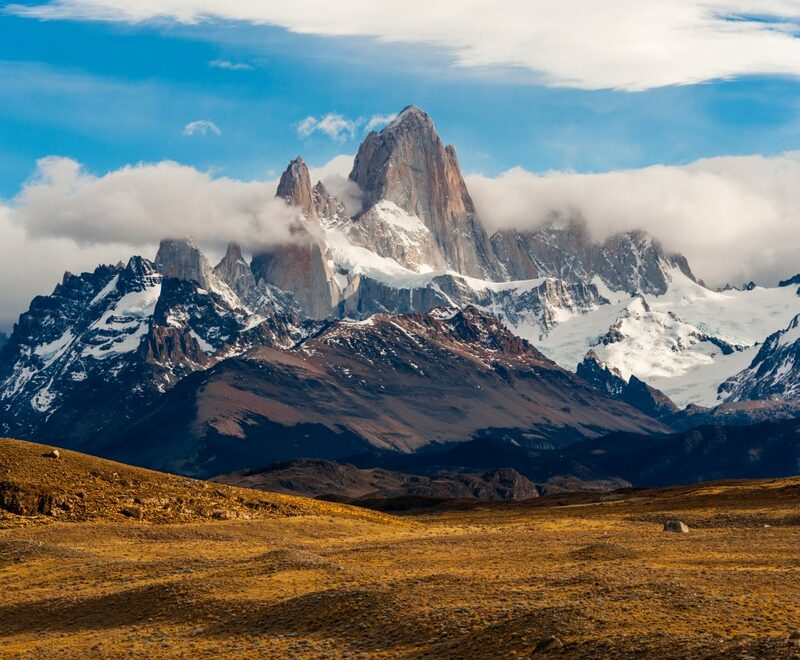 Patagonia is undoubtable striking at any time – with gravity defying granite spires and varied wildlife scattered amongst beautiful lakes and forests it’s certain a destination for budding landscape photographers. This is all true but it can be even better! Consider travelling to Patagonia in autumn time (April) and you’ll be truly amazed by the colours. Trees change colour slowly and depending on their altitude, meaning that if you take the right hikes at the right time you can ascend through almost the full spectrum of vegetation – starting with bright green trees that transition slowly into yellow, then orange and finally flame red. I would hardly believe it if I haven’t done it myself. Make sure you take some extra memory cards! 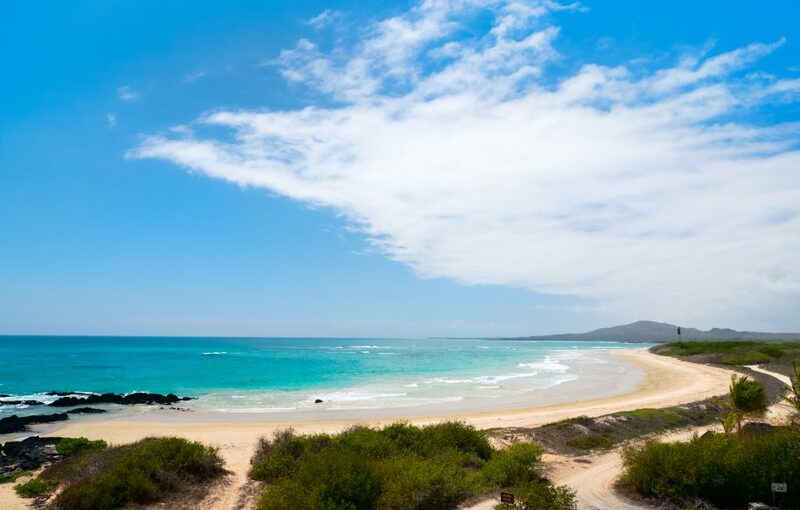 For a photography road trip, consider the long Ruta 40, which is essentially one long photography opportunity and rarely travelled except by the most intrepid travellers. On Chimu Adventure’s “Wild Patagonia” group tour you can see a little of Ruta 40’s magnificent scenery, real estancias (farms) and unique wildlife. 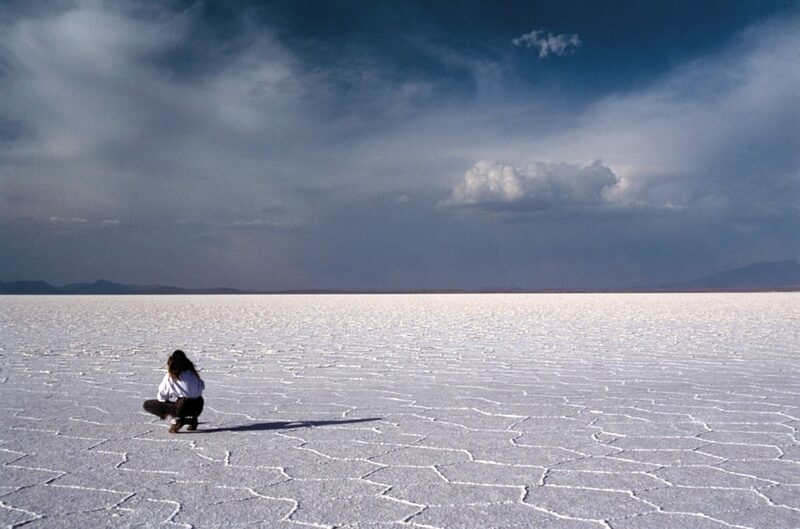 Salt Flats in Bolivia. Photo credit: Shutterstock. For me, this is probably my favourite photography location in South America and maybe even on the planet, Bolivia generally but in particular the region between Uyuni and Chile boarder in the south of Bolivia. In fact it was being shown photos of this region in my early twenties by older and better travelled flatmates that was one of the major influences in making want to travel to South America in the first place. Refflections in the Salt Flats, Bolivia. Photo credit: Shutterstock. Unfortunately for Bolivia it is one of the most undeveloped countries in South America. There is a severe lack of tourism infrastructure as a result and so only the most intrepid of travellers should consider travelling there. That said the rewards in terms of photography are mind blowing. 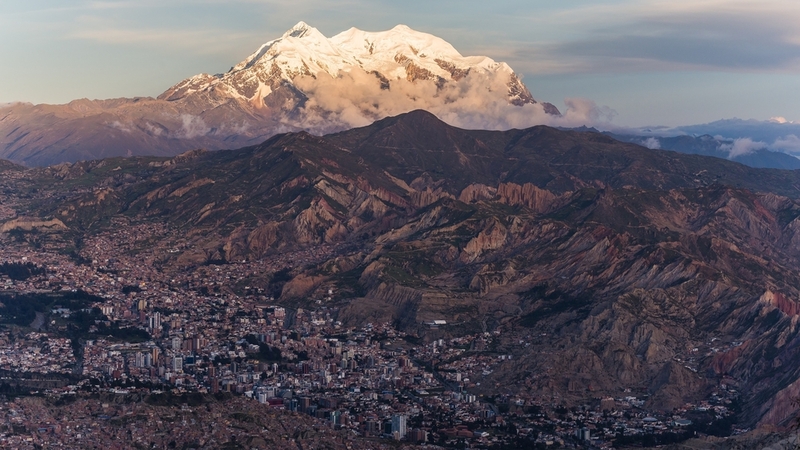 Even the capital La Paz and some unique photography opportunities – the city itself is essentially a sunken crater within a plateau and images taken of the city from the rim of the plateau are spectacular all in themselves. Add to the mix unique market opportunities like the varied traditional potions and good on display at the witches market then you’re probably starting to get the idea that this isn’t just your average city. La Paz in Bolivia. Photo credit: Shutterstock. 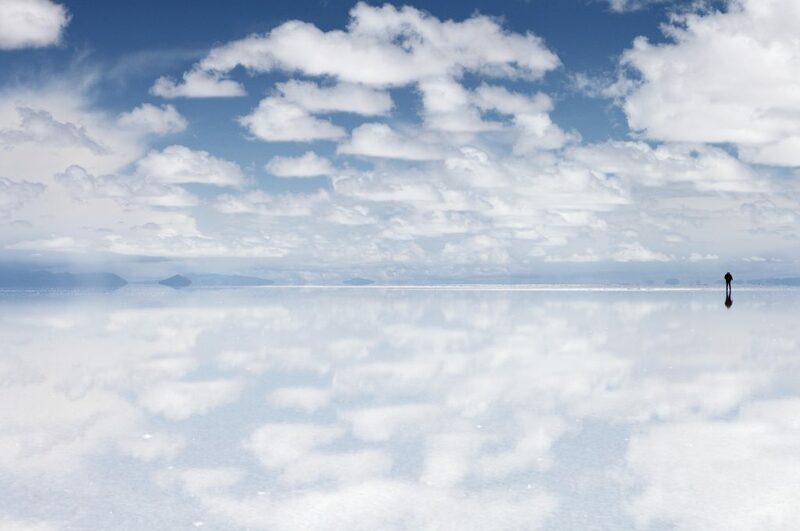 But once you’ve had enough of La Paz, do yourself a favour and head south to Uyuni. The town of Uyuni is perched on the edge of the Uyuni salt flats. This almost never-ending expanse of flat salt is interesting in itself but get yourself onto Fish Island, which is a small island somewhere out in the abyss of the flats with the world’s largest cactus and while you sit there admiring them, off in the distance you’ll notice the top of Andean peaks just visible above the salty horizon. Maybe there will be another 4WD making its way across the salt flats as you sit and watch – a small spec in the endless expanse of whiteness. And that’s just the start – once you leave the Uyuni Salt flats you make your way further south towards the Chile border, through a string of smoking active volcanos, and at their feet are a series of green, white, red and yellow lakes most of which contain a wide variety of wildlife – huge flocks of pink flamingos are common theme. The colours and contracts are so striking all I can compare them to is a Salvador Dali painting – add a dropping clock and you’d have your own personal masterpiece. This is a must go if you are travelling to South America because you like photography. 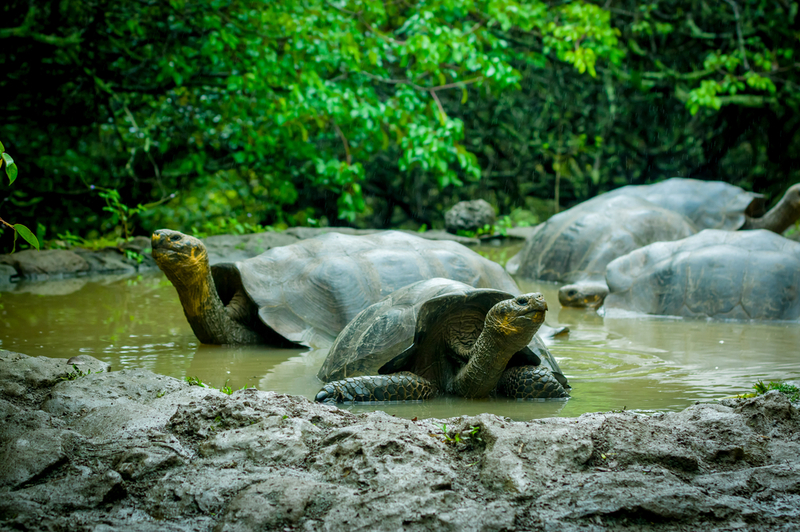 Giant Tortoises in the Galapagos. Photo credit: Shutterstock. This may seem like and obvious pick and I guess it is – the varied wildlife has been known to the western world ever since Charles Darwin sailed there in the Beagle and subsequently lead him to develop his theory of evolution based on his observations of finches across the archipelago. But it’s not just the presence of wildlife that makes the destination notable. What makes it even more alluring from a photographer’s perspective is the tameness of the wildlife. Almost without exception, none of the local wildlife is fearful of human presence. This of course makes the photography considerably easier! It’s not just the wildlife either. The Galapagos Islands range in age (the older islands to the east and younger ones to the west). The younger islands are essentially still so young that they are still grown given that they are active volcanos. The older islands on the other hand are so old that many of them are slowly falling back into the sea. As a result you get dramatic half rimmed ancient caldera’s floating in the sea, surrounding by huge amounts of wildlife. The “Devil’s Crown” is a perfect example of such a location. Chimu Adventures offers a wide variety of tours to South America. Click here for more information.